Ready for a Hawaii Vacation? AND, Enjoy Personlized Service from a Hawaii Vacation Expert at no added cost! 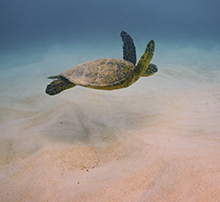 Everyone deserves the chance to break free from the stresses of the everyday grind, and whether you're looking for a relaxing escape or an adventurous getaway, a Hawaiian resort vacation has it all! Choose to island hop to see the many sights, or simply plan to relax at your resort's pool and enjoy the surrounding beauty. No matter what you decide, you are sure to experience utter relaxation at your Hawaiian paradise. 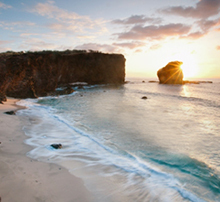 Beautiful beaches, charming towns, national parks, and more can all be experienced while vacationing at a Maui resort. See the stunning sights at Haleakala National Park, take in the attractions along the Road to Hana such as the Twin Falls and Ohe'o Gulch, and make a trip to the Tedeschi Winery before you leave! surfing and windsurfing at Maui's Ho'okipa Beach! Known as 'The Gathering Place', travelers who are looking for a foreign, yet familiar experience will truly enjoy a Hawaii resort vacation to Oahu. This destination is the perfect blend of must-see sites, natural habitats, and urban experiences! 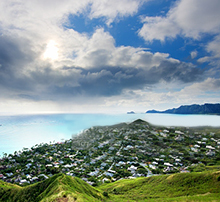 Plus, Oahu is home to the capital of Hawaii, Honolulu! 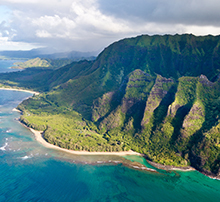 Head to a resort on Kauai for an unparalleled escape from the world where natural splendors await. 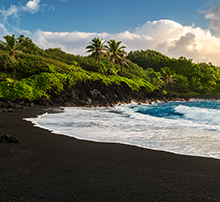 Though the smallest of Hawaii's main islands, there is plenty to do and see on the 'Garden Isle'. Spend the day on warm beaches in Po'ipu or riding an ATV past waterfalls and other scenic backdrops - the choice is yours! helicopter tours of the island's untouched terrain! There are many ways to spend your days on vacation at a resort on Hawaii's Big Island. For unforgettable adventures, snorkel at one of the best bays in the state at Kealakekua, explore the magnificent scenery of Waipi'o Valley by horseback, or try a night snorkel or guided swim with gentle manta rays! horseback Riding in Waipi'o Valley! This island in Hawaii is only nine miles from Maui and is a great for those who avoid big crowds of tourists. This island is as close to old Hawaii as you'll get with its rugged back roads and small inhabitance of locals. Plus, luxurious resorts, picture-perfect beaches and landscapes, and great golfing are abundant! Puu Pehe, also known as Sweetheart Rock! 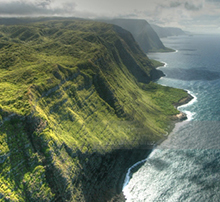 The birthplace of hula dancing, Molokai is one of Hawaii's most underrated islands. You can find strings of empty white sand beaches and enjoy them as your own personal paradise. Hike one of the many scenic trails if you to stay active or sit back and enjoy the dreamlike natural backdrops while you sip on a beverage. riding a mule on the scenic Kalaupapa trail!